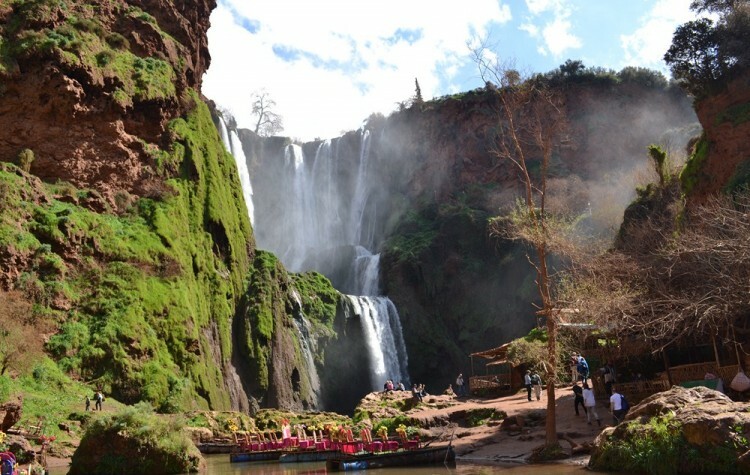 Sneak away from Fez into the wild nature of the Middle Atlas Mountains with visits to two of its gems: Bhalil and Sefrou. 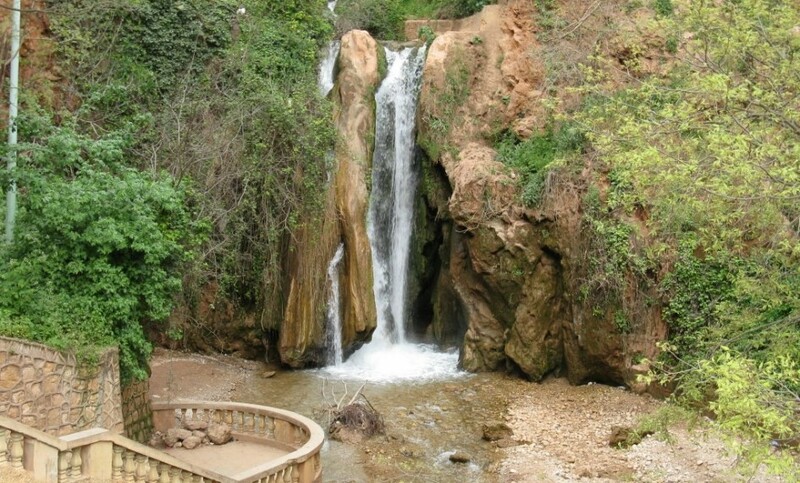 Upon picking you up after breakfast at your accommodations in Fez, we will drive south, through the Sais plateau, Fez’s bountiful agricultural region full of olive grove, wheat fields, and fruit trees, to reach our two destinations. 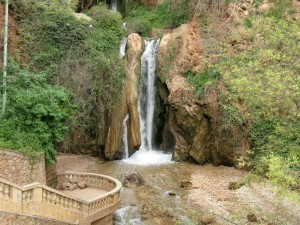 Only about a half hour away from Fez, our first stop will be in the typically Moroccan small town of Bhalil. However, there is also something very untypically Moroccan about Bhalil to discover. Bhalil is one of the only towns in Morocco where cave houses carved out of the mountainside play an important role in its urban architecture. Inhabited since pre-Islamic times, the cave houses of Bhalil have housed innumerable generations of Moroccan families. Today, most families have opted to move out of the cave houses to live in modern dwellings. 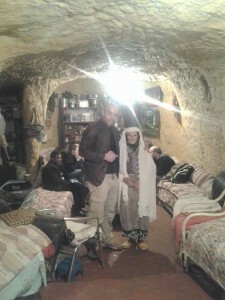 Still, a few old timers hang on to their cave houses and, with it, an ancient way of life. Next, only 5km down the road from Bhalil, we will have the rest of the day to explore than many charms that the much larger town of Sefrou offers. Nicknamed by the French, ‘the garden of Morocco’, Sefrou’s fame stems from its proud tradition of working its surrounding rich agricultural lands. During our visit of Sefrou, we will visit many diverse sites. First, we will explore the abandoned and collapsed Jewish neighborhood, the Mellah, in the middle of the old town. Then we will explore the old town a bit, following the Oued Agay river gorge that cuts through and bridges that stitch back together the center of Sefrou. 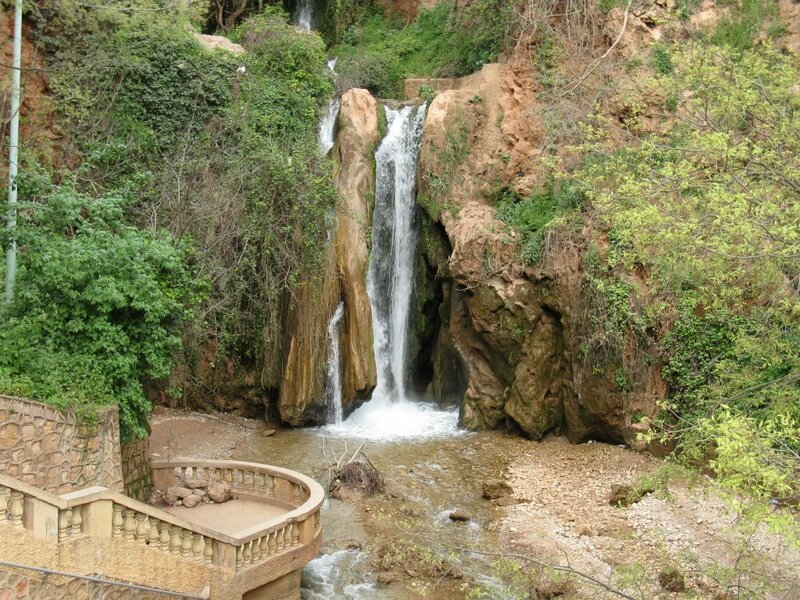 Getting back in our car, we will then visit a waterfall upstream from the old town, followed by an uphill drive to visit a panoramic view point over Sefrou and its surroundings. Lastly, we will make a stop by the oldest neighborhood of Sefrou, the walled Kasbah. 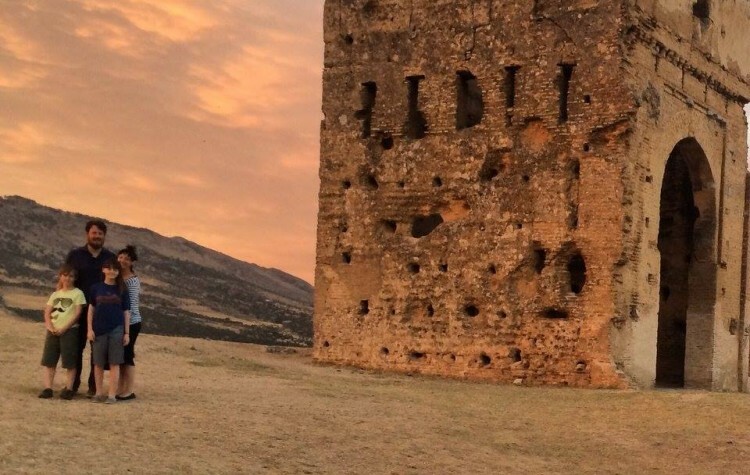 At the end of this busy day, we will drive you back to your accommodations in Fez.